We could sit here all day and tell you why we believe we are the best in the market when it comes to ground anchoring systems, but why take our word for it? Have a look at some of the reviews below from a variety of clients and suppliers. “We have worked with Anchor Systems Ltd for several years and unlike other manufacturers and suppliers, they are very helpful and attentive at pre-project stage and during supply. 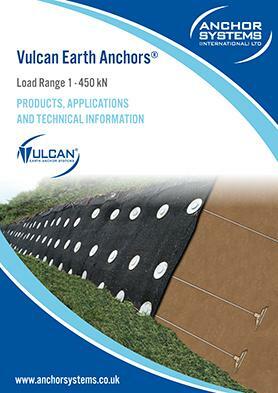 “The anchors are far superior to a concrete base. 1. Much faster installation, you can install immediately as there is not cure time. 2. Less materials to transport than a concrete base. 3. No excavated materials to carry out or dispose off. 4. Not subject to weather conditions like concrete is. 5. You do not have to return to site to remove shuttering. “We were looking for a suitable system to install a large array of Solar panels for a private customer who had plans for the installation in the grounds of his property. The chosen site was some way up a steep bank which meant we had to consider not only the method of securing the solar panel support framework but also the access issues for plant and equipment. The normal method of anchoring these type of supports is to dig out and lay concrete pad foundations and then fix studs or drill securing brackets into each concrete foundation. The problem we wanted to avoid was the amount of time and manpower to lay these foundations and then wait for them to cure before the supports could be installed. Furthermore concrete is not considered a “green” product and was to be avoided if a better system could be found. After researching into all the options we discovered the Anchor Systems products which we considered would be the ideal solution. By using ground anchors we could install the foundations in minutes rather than days and totally avoid using concrete and all the logistical problems that would cause on the site. After consultation with Anchor Systems we also discovered they had a patented system of ensuring any support structure could be easily set absolutely vertical even if the actual anchor had not gone into the ground perfectly upright. Due to the site being quite rocky it was a possibility that an anchor would be slightly off centre if it hit an obstruction. We were assured that the clever dished interface between the anchor and the fabricated top mounting meant the support structure would be quickly and easily set vertical. The system meant we could install the required number of anchor points (16) in a couple of hours rather than days and the structural erection could begin as soon as the bolts were tightened. We did install one anchor in the wrong place but it could be removed with the help of a digger bucket although a removal kit was supplied for this purpose. The equipment required was all fully portable so easy to get on and off site and two men did all the installation once the marking out had been carefully completed. state. Solar UK allocated 3 team days to mark out and install the posts on the pre-prepared area- this was achieved, and the 21 mini posts were also installed in this time much to our surprise. On previous ground mounted systems, whole days had been lost in marking out and accurate driving of anchors. This product drove straight and true with little adjustment required. The top alignment plates more than compensated for any deviation in drive angle beyond the point of adjustment. “The system was very effective and versatile with an excellent daily output compared to more traditional methods of excavating usually manually and installing heavy concrete posts. Our operatives within two to three shifts of using the Anchor system were installing on average 40-50 posts per day or approximately 100m of posts route on embankments of various gradients without much difficulty. “Over the duration of our CRMS contract works with LU, Giffen Group have been required to undertake installation in numerous locations along both the Metropolitan and District Lines of the London Underground network. In doing this, various ground conditions have been encountered that have required different installation methodologies to be employed, one of which has been the use of Anchor Post systems. 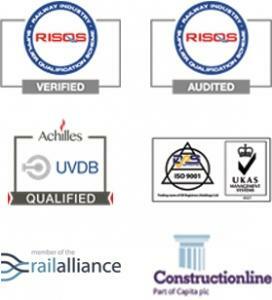 It is our experience that the use of these systems in normal ground conditions is both a more cost effective and time saving method and has enabled us to achieve the target dates set out in the various contracts we have worked upon. Ease of installation – driving anchors into the ground instead of hand dig of holes and installing posts in concrete footings. Savings on material use and arisings – the fact that holes do not have to be dug and backfilled with concrete means not only do we not need to use those additional materials but also there are limited arisings in comparison to the hand dig method. Manual handling – whilst the overall manual handling requirements do not decrease as such, the fact the system comes in two separate units i.e. the ground anchor and the post, means that the risk to operatives in carrying the units is reduced compared to carrying a single longer post. The manual handling aspect is also improved as neither concrete or spoil is required to be moved.